This is the Ascencion Church found inside the vast Villa Escudero Plantations and Resort in San Pablo City, Laguna. It was a Spanish-style church and being used as a museum. I wonder why it was painted in pastel pink. My daughter took this picture during her educational field trip last January. 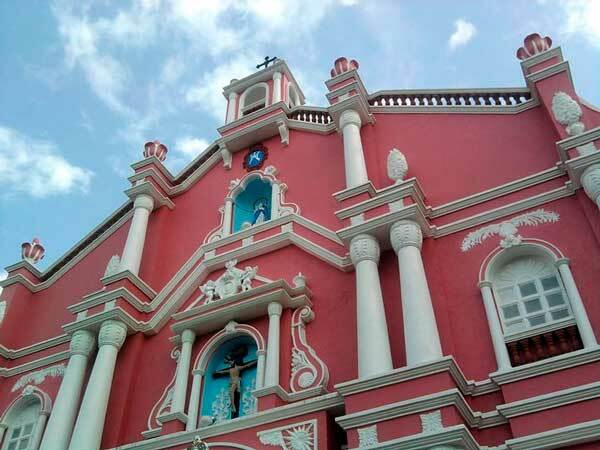 This entry was posted in Churches, Skywatch Friday and tagged Ascencion Church Villa Escudero, pastel pink church on March 19, 2011 by Yami. hehehe bakit nga kaya pink? beautiful i’m near in the place but never pa try to visit /.